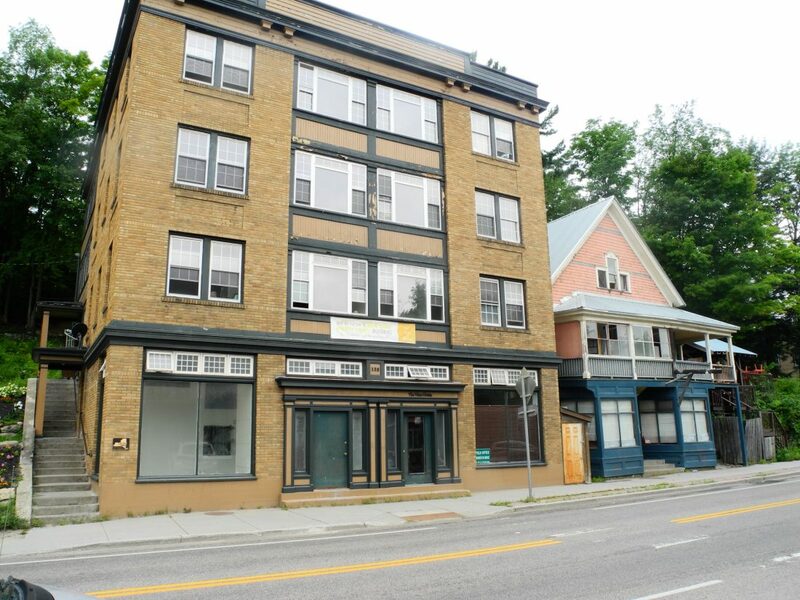 SARANAC LAKE — Nine new apartments and two commercial spaces could debut on upper Broadway in as little as 18 to 24 months from now. That’s according to Steven Sidrane, managing member and co-owner of 135 Broadway Apartments, a corporation planning to develop an empty lot at 133 Broadway, which local residents may remember as the former home of Standard Tire. 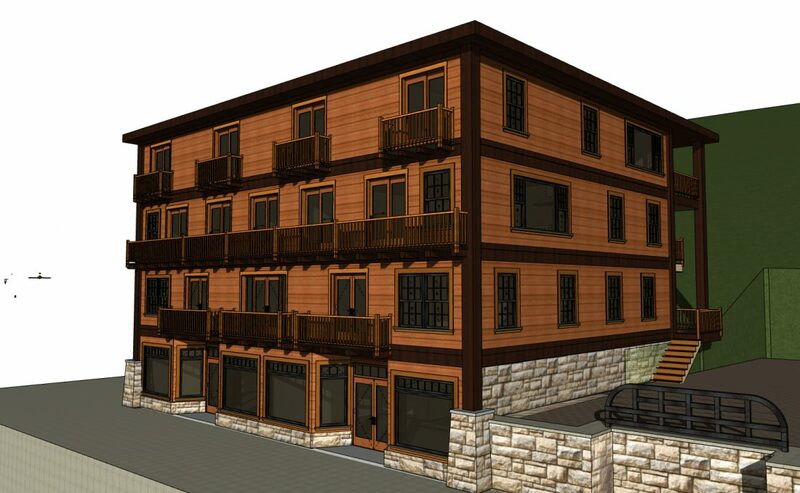 The planned mixed-use building is one of 19 projects proposed for funding through the Downtown Revitalization Initiative, a nearly $10 million package of state economic development grants this village was awarded last year. Alongside the 14-unit apartment building at 135 Broadway, which the corporation also owns, the project would add a 10,000-square-foot, four-story apartment and commercial building. According to the DRI proposal that was sent off to the state, the total project cost is $1,625,000, with a grant funding request of $822,500. This request is part of $14.5 million in projects submitted by the Local Planning Committee — of which $9.7 million will be funded. If the DRI request does not come through, Sidrane said the building would not get started nearly as soon. “We’re lined up,” Sidrane said. He said they’ve already got contracting, design and engineering firms signed onto the project, and are in talks with lending/financial institutions — just waiting on the DRI. Previous DRI awards have been announced in the early to mid summer. If that’s the case this year and this project is chosen, Sidrane said a weatherproof shell of the building could be constructed by the end of this year. That would allow interior work to be done through the winter, Sidrane said. If the DRI awards are announced closer to fall, Sidrane said all that’s likely to be done before winter is the foundation. Sidrane said he’s intimately familiar with the area, with he and his family spending time in Franklin County for the last 60 years. He said he currently spends his summers in Loon Lake. 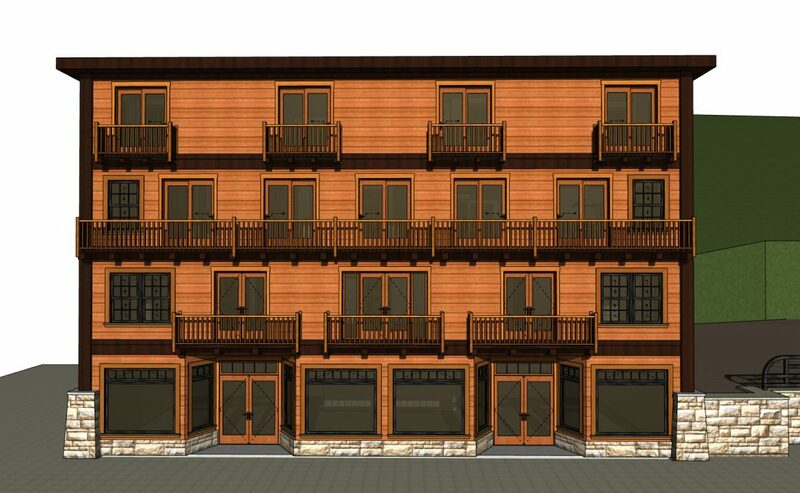 He said the nine apartments, on top of two commercial spaces on the ground floor, will be a mix of efficiencies, one bedrooms and two bedrooms. He said they won’t be luxury apartments but built to the surrounding area’s standards. The rents in the area are modest, “and we intend to continue to provide modest rents,” Sidrane said. That means a two bedroom will run somewhere around $900 a month, he said. The new development will provide two particular benefits to the area, Sidrane said — first, by adding significant tax property revenue to the village by adding 11 new units on a vacant lot. Second, he expects it will have a substantial impact on upper Broadway, and “spark a large majority of property owners of upper Broadway to do things with their buildings,” Sidrane said. One reader noted that this article did not specify whether the new apartments would be long-term or short-term rentals. They would be long-term, with leases of one or two years, according to Sidrane. Other readers asked where tenants would park. An elevated parking lot is already part of the property between 133 Broadway, where the new apartments would be built, and 135 Broadway, where the four-story apartment building currently stands.